Hardware Specification: 64 bit ARM Cortex A53 Quad core Amlogic S905 2.0Ghz SoC, 5 Core Mali-450MP GPU, supports 2.4GHz Wifi. Connectors: USB 2.0*2, Micro SD card slot*1, HDMI V2.0, AV video output and 100mbps RJ45. 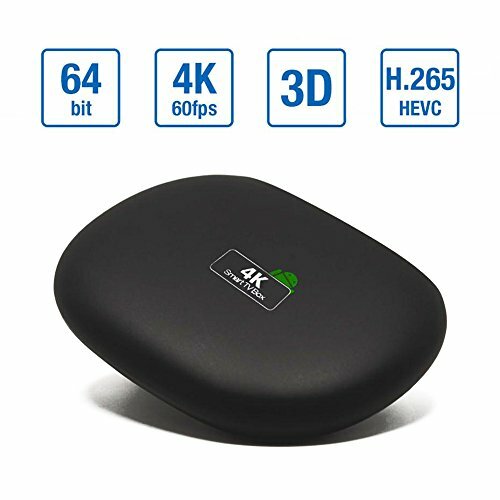 Software Specification: Android Lollipop V5.1, supports all popular video format including H.265/HEVC, display resolution up to 4K/60fps, HDMI 2.0 supports raw data audio output(Passthrough) and let you experience the true surround sound. Network: Internet surfing; Live chat; Apps download; Local network sharing(Samba/NFS) and online video streaming. Connect your phone with TV: Supports multi protocal which let you cast the display from your phone to the big screen TV. •This is a Android TV Box powered by Android V5.1. •which allows you to cast the screen from phone to big screen TV.